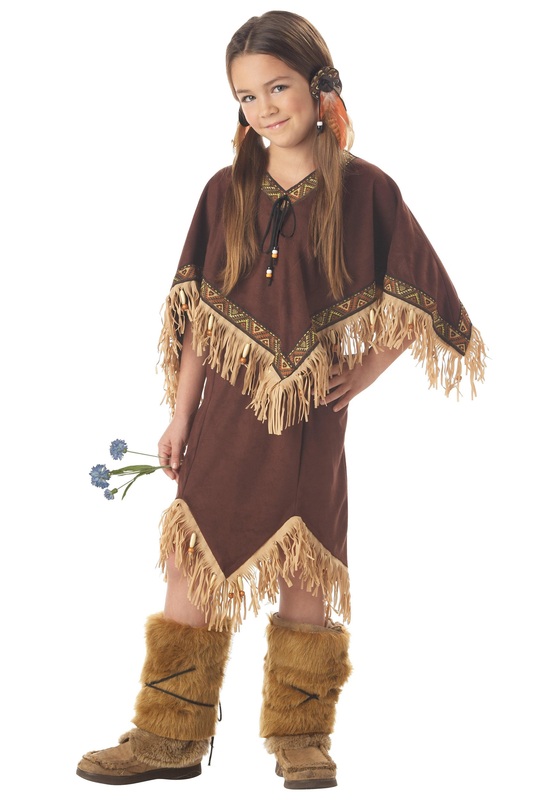 Transform your tyke with this Child Native American-inspired costume. It is made to resemble clothing worn hundreds of years ago. This sleeveless pullover dress has self-ties for size adjustment and a faux suede poncho style cape lined with fringe and brocade ribbon. Your kiddo’s hair can be decorated with felt barrettes that are decorated with feathers on top of a metal hair clip. Be sure to look for other accessories to create your chosen style from head to toe.